Faced with rising operational costs due to increasing energy and chemical prices, as well as stricter effluent permit limits, many operators and engineers are turning to performance optimizers and controls automation to enhance treatment processes and reduce operating costs while limiting capital expenses. 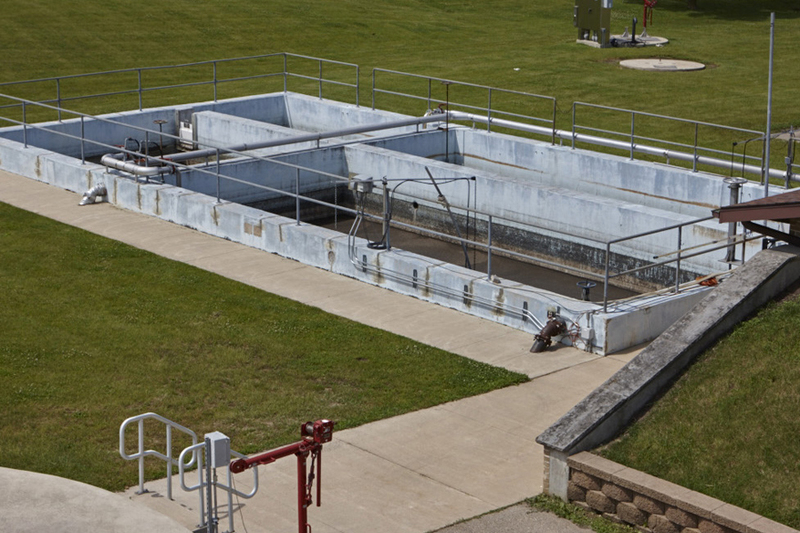 To overcome these challenges, an advanced process control solution was implemented in an aerobic digester in Green Lake, Wis. By controlling the process in a smarter way, the solution significantly reduced phosphorus and nitrogen in the returns to the main treatment process, and reduced energy consumption and wear on the blower. The 14-month-long study was conducted at the city of Green Lake wastewater treatment plant in Wisconsin that uses a continuous feed ICEAS advanced sequencing batch reactor (SBR) system with an average flow of 0.2 million gal per day with a Vorelodos aerobic digester. The digester includes fine bubble diffusers, positive displacement blowers and a manual telescoping valve for decanting. Digester solids are sent to a belt filter press for dewatering and, ultimately, land application. The Vorelodos digester system has four zones operating in series—two in the east digester and two in the west digester. Waste-activated sludge is automatically pumped from the ICEAS system into the east digester approximately every two hours. The supernatant from the digester is returned to the SBR through the telescoping valve and is manually initiated four days per week. A sludge pump is used to remove sludge from the west digester once per week. During the study, YSI sensors measuring NH4, NO3, K, DO and ORP were installed in the east and west digesters. Additionally, a YSI orthophosphate (PO4) analyzer (P700 model) was installed in the east digester. The aerobic digester was upgraded with an Oscar process performance optimizer with Dino controller, which automatically adjusts the required aeration time in the digester based on potassium readings. The controller alternates aerobic, anoxic and anaerobic conditions in the digester to optimize total nitrogen and phosphorus treatment while minimizing energy consumption. The Oscar control system with Dino controller enabled biological phosphorus removal in the digester, reducing PO4 returned to the main plant more than 90% on average. Figure 1 illustrates an aerobic period where soluble PO4 decreased more than 95%, resulting in a significant reduction in the amount of phosphorus returned to the ICEAS process via decant or solids dewatering. These improvements reduced chemical consumption in the main treatment process by more than 50% while still meeting the effluent phosphorus permit. The Dino controller also achieved 100% reduction in NO3 returned to the main treatment process when compared to previous operation, which continuously was aerated. Digester blower energy consumption was reduced by 95% compared to previous operations. Blower energy was shifted from 36% on peak to 0% on peak, reducing demand charges and the unit cost of energy. Results from tests carried out between January 2016 and March 2017 showed that upgrading the plant’s existing aerobic digester to a Vorelodos system with Oscar optimizer and Dino controller enhanced performance by reducing nutrients (nitrogen and phosphorous) that were returned to the main treatment process by more than 90% and lowering energy consumption by more than 95%.